Though originally settled several hundred years earlier, Bruges (broozh), Belgium obtained its city charter in the year 1128. Over the next hundred years, textile production, both local and abroad, was nurtured by the city's entrepreneurs. By the late 1200s, Bruges had become a center of trade and established what is believed to be the world's first stock exchange in 1309. The city continued to thrive due to its port and influence in trade. Bruges-produced fabrics and laces were ranked the best in the world, and by the late 15th century, the city's population had swelled to 200,000. 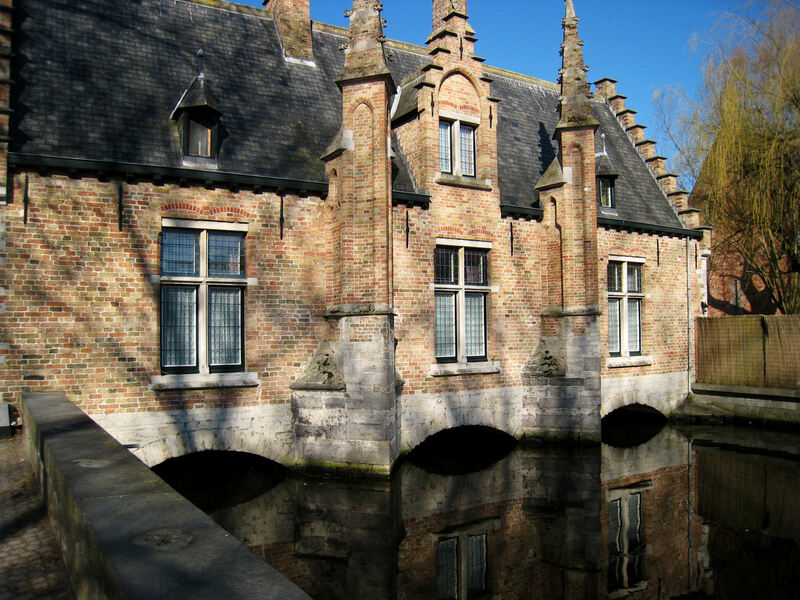 The arts flourished, and Bruges was home to the world's leading publishing houses and the economic center of northwest Europe. 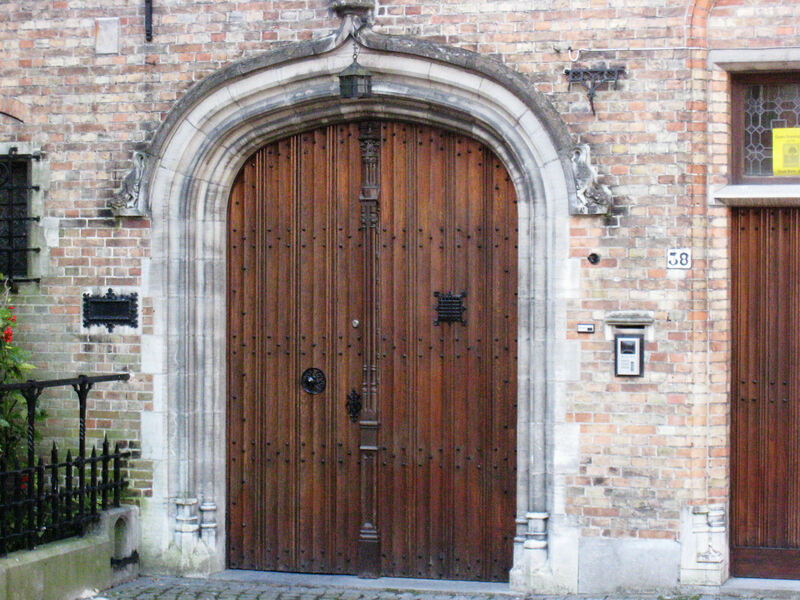 ﻿﻿Beginning around 1500, the primacy of Bruges began to falter. Its channel to the sea, key to its success as a port and trading center, began to silt. Other cities began to prosper and assumed the ascendancy of the area. 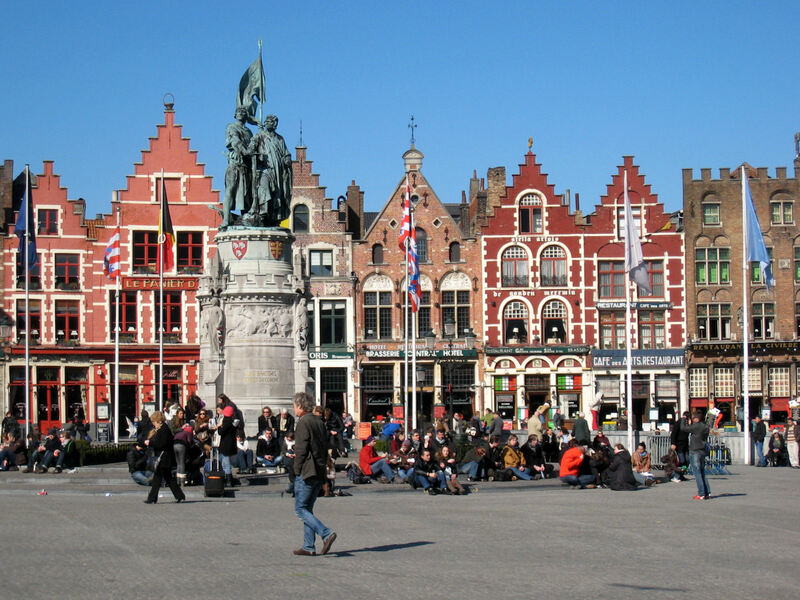 Bruges eventually became impoverished, and its population dwindled to less than 50,000 by the late 1800s. So far had the city's fate fallen, a novel and later opera about the city were produced under the title The Dead City. Fast forward 100 years, a drop in the historical bucket for a city with roots in the three-digit year era. Who could save a city that had already had its death certificate issued? Was Superman up to the task? How about Annie Sullivan? She did pull off a bona fide miracle with Helen Keller, after all. An infusion of stimulus funding from Bill Gates? He hadn't even seen a Commodore 64 yet. Actually, it was tourism that breathed life back into Bruges. Once tourists began to discover this well-preserved medieval town in the 20th century, the promoters and tour buses weren't far behind. Who could resist "a delightful romantic collection of cobbled squares, narrow streets, dreamy canals, gabled houses and gothic buildings," as tour operators described the city? Because so much of its medieval architecture remains intact, UNESCO named the entire historical Bruges city center to its World Heritage list in 2000. As it has been in U.S. locations such as Gatlinburg and Bar Harbor, tourism was accompanied on its arrival in Bruges by its unseemly sister, the souvenir industry. Close behind were their triplet brothers-- tour buses, tour boats, and tour buggies. The drivers of these carriages spur their horses into galloping through the streets, presumably so they can pick up their next fare sooner. We never saw any dialogue occurring between the driver and passengers. 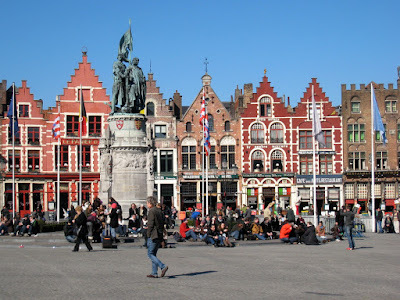 Though summer is the "busy season" in Bruges and the rest of Europe, our early March mid-day Monday visit found the market square teeming with vacationers. Getting away from the major streets does allow one to find some quiet corners and quaint alleys. 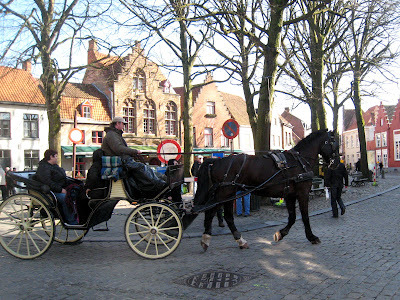 This day trip to Bruges, which is indeed a lovely city if you can see past the excessive tourism, taught us an important lesson in heeding the advice of travel writers without applying the filter of our own experiences and preferences. Though the well-respected Rick Steves counts Bruges among his favorite places, it is not destined to become one of ours.